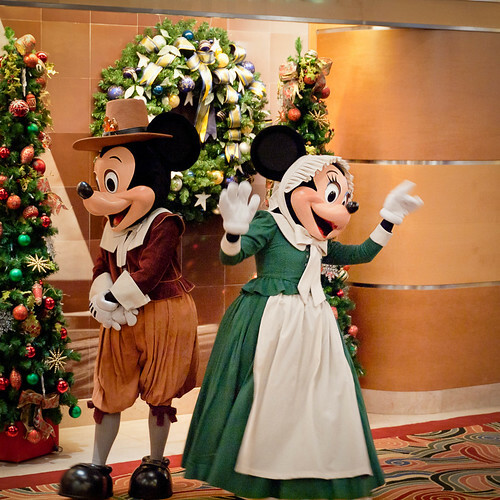 Mickey and Minnie in their finest American Pilgrim gear abord the Disney Wonder cruise ship at Thanksgiving, 2009. Our cruise happened over Thanksgiving, so we got to see both turkey day and Christmas decorations aboard the ship. I don't think they break these costumes out very often!